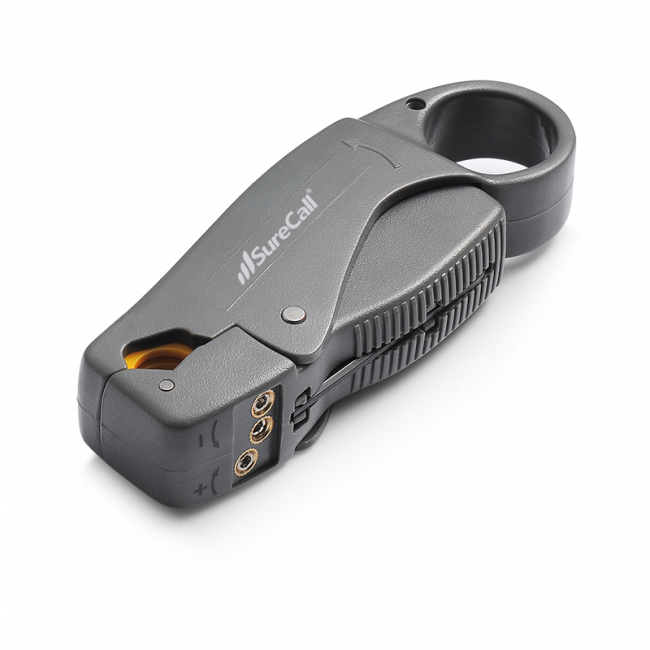 Self-adjusting cable stripper for use with RG6, RG11, 240 and 400 series cables. 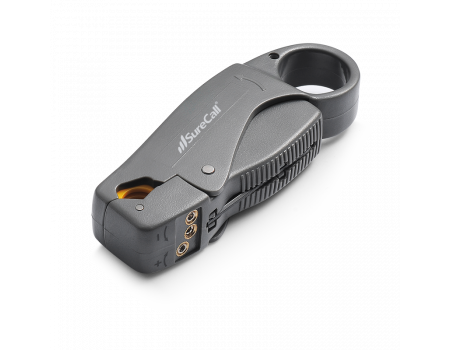 The SureCall Cable Stripping Tool is a self-adjusting cable stripper for use when terminating RG6, RG11, 240 and 400 series cables. It will strip the cable 10.3mm from the end of the cable and will automatically adjust to the proper size for whichever cable you place inside of it.